Citation: Zahid Z, Zbeidy R (2018) Retained Epidural Catheter: A Case Report of a Pregnant Woman and a Literature Review of Prevalence, Etiology, and Management. J Med Res Health Educ. Vol.2 No. 2:10. Copyright: © 2018 Zahid Z, et al. This is an open-access article distributed under the terms of the Creative Commons Attribution License, which permits unrestricted use, distribution, and reproduction in any medium, provided the original author and source are credited. Epidural catheter breakage is a rare complication. There are many potential causes of epidural catheter breakage, including those related to characteristics of the catheter itself, its position during insertion and removal, the patient’s body mass index, and the difficulty of the procedure. Surgical removal is considered if there is a possibility that the retained catheter could cause neurological problems. We experienced the breakage of an epidural catheter during its removal, in a case that did not require surgical intervention. Herein, we discuss the diagnosis, treatment, and prevention of ruptured epidural catheter. Continuous epidural analgesia is used for labor analgesia, postoperative pain control, chronic pain, and cancer pain control, as well as for anesthesia. Breakage of an epidural catheter within a patient is an uncommon but troublesome complication. Several possible mechanisms for catheter breakage have been proposed, with the literature containing a few isolated case reports and many unproven theories. Trauma inflicted during insertion or removal can result in shearing of the sheath or breakage of the catheter. The application of excessive tension may also cause stretching and even breakage. The retained catheter fragment may cause concern and discomfort. Herein, we report a case of an epidural catheter that had been cut during a prior attempt to remove it by hand along with a review of the relevant literature regarding how to manage and remove a broken epidural catheter. A 31-year-old female, 149 cm tall, weighing 90 kg, gravida-4, para-3, and in the 39th week of gestation was admitted in active labor, with undesired future fertility. Her medical history included morbid obesity, and she had a body mass index of 40.5. She had no known allergies and a negative social history, and her physical examination was unremarkable. Her back exhibited lumbar lordosis and difficult to palpate spinous processes. Neurological examination was intact. She opted to receive a combined spinal epidural for labor analgesia. The patient was placed in the sitting position, and a midline approach was attempted at the L4-L5 intervertebral space using the Arrow® FlexTip kit (Arrow International, Inc., Reading, PA) by a senior resident. A 17 g Tuohy needle was inserted, and loss of resistance (LOR) to saline was obtained at 8.5 cm, but there was no cerebrospinal fluid (CSF) apparent in association with the spinal needle despite needle rotation and needle repositioning. Based on a concern of LOR, the resident removed the needle and an attending anesthesiologist took over, who after several attempts was able to achieve LOR to air at 8.5 cm. This time CSF did flow through the spinal needle, and 0.5 ml of intrathecal bupivacaine 0.25% with fentanyl 15 μg was injected. The epidural catheter threaded easily, and it was pulled back to 13.5 cm then secured with sterile dressing at 14 cm on the skin surface after back deflexion, which left 5 cm of catheter in the epidural space. Patient-controlled epidural analgesia with bupivacaine 0.125% and 2.5 μg/ml fentanyl started at a basal rate of 6 ml/hour, bolus 6 ml every 10 min, up to 3 boluses an hour. No paresthesia was noted during the procedure, which took 50 min. After placing the combined spinal epidural, the patient reported complete pain relief. Two hours later, she underwent spontaneous vaginal delivery of a female infant weighing 3140 g. The resident anesthesiologist encountered mild resistance while removing the catheter in the sitting position, then breakage was noted along its length as was the absence of the catheter tip. On initial inspection, it appeared that approximately 3-4 cm of the catheter was missing. The removed catheter is shown in Figure 1. Figure 1:Broken epidural catheter removed from a 31-yearold postpartum female. Risk management personnel were contacted and were involved in the subsequent coordination of care. Due to a strong suspicion that the distal part of the catheter remained either within the neuraxis or the subcutaneous lumbar region, imaging was performed. Lumbar radiography results were inconclusive. After discussion with an interventional radiologist, a computerized tomography (CT) scan of the lumbar spine was obtained (Figure 2). It showed the remainder of the catheter in the epidural space, with 3 cm in total length in the right dorsolateral fat at L4-L5 (in the Para spinal soft tissue), and 1 cm looping in the epidural space. The patient was asymptomatic, with no neurological symptoms related to sac compression, nerve entrapment, or hemorrhage. She was notified of the catheter’s location by the anesthesia team, and counseled on the risk versus benefit ratio of retrieving the catheter fragment. The recommendation was to leave the catheter fragment in situ, as the likelihood of infection, migration, and neurological complications was low. Following a multidisciplinary meeting involving anesthesia, obstetrics, neurosurgery, and risk management, and with the appropriate input from neurology and radiology, the patient who remained asymptomatic, was discharged home in a stable condition. Despite being advised to return to hospital if she started developing neurological symptoms, fever, headache, or back pain, and of the need for follow-up CT scans at 6 months and at 1 year to monitor the retained catheter fragments, the patient never returned. Informed consent for the publication of this report was obtained from the patient. Figure 2:Computerized tomography scan of a postpartum patientÃ¢ÂÂs lumbar spine showing 3 cm of retained epidural catheter. Epidural catheter breakage is a rare occurrence, of which there have only been a few isolated reports. Of the 3,637 cases of epidural block reviewed by Bonica et al. , in 2 cases catheter fragments were located in the subcutaneous tissue and removed, and in 1 case they were unable to locate the fragment and no sequelae were reported. Hobaika  reviewed cases from 1957 to 2008 documented in 15 articles reporting 30 cases of epidural catheter breakage, all of them lumbar, L2-L5. A PubMed search of the literature published between 2008 and March 2017 yielded an additional 8 cases of epidural catheter breakage, 1 thoracic and the remainder lumbar. “Ask Maude”, established by the Food and Drug Administration (FDA), and contains reports of adverse events involving medical devices. Their reports from 1991 to February 28, 2015 include 42 epidural anesthesia kit complication cases. Of these, 3 were catheter breakage, including an Arrow® Flex Tip epidural catheter in 2014, a Portex Minipak epidural catheter in 2013, and an Abbott epidural catheter in 2004. The American Society of Anesthesiologists closed claims database  for injuries associated with regional anesthesia from 1980 to 1990 yielded a total of 1005 regional anesthesia claims, and of these neuraxial blockade was used in 100% of the obstetric claims (n=368) and 71% of the non-obstetric claims (n=637). Whether injuries were related to material malfunction (example: broken infusion catheter) was not included in the reports. Institutional data from the Jackson Memorial Hospital Division of Obstetric Anesthesia, specifically a QA database established in 2000, revealed that of 60,551 epidural catheters placed during labor and operative deliveries, 1 case of catheter breakage was reported. Despite it being a rare occurrence, there are various potential causes of epidural catheter breakage. Poor operating technique, faulty design, partial tearing, kinking or knotting, and entrapment by the supraspinous and intraspinous ligaments may cause breakage of epidural catheters during insertion or removal . Epidural catheter entrapment has an incidence of 1:20,000–30,000 . The catheter entrapment can involve blood vessels, nerve roots, lumbar fascia, posterior vertebral arches, vertebral processes, and facet joints, and excessive catheter threading leads to an increased risk of entanglement, kinking, and knots . Davies et al. reported on Portex 16 g epidural catheters placed in 59 patients, and suggested that the normal force required to remove an epidural catheter should not exceed 600 g, and the minimum force required to break a catheter was 2.6 kg. According to manufacturer data, the tensile strength of a 19 g Arrow® Flex Tip catheter is 4.1 kg, and that of a Portex catheter is 3.7 kg. Blackshear et al. , reported that less tension is required to remove lumbar epidural catheters when the patient is in the lateral position. Boey et al. showed that for labor epidural catheters placed with the patient in the lateral position, removing them with the patient in the sitting position required 2.5 times more force than that required with the patient in the lateral position. In a 1996 study conducted by Morris et al. , parturient patients receiving labor epidural for analgesia were randomized into four groups: LS (lateral insertion, sitting withdrawal), LL (lateral insertion, lateral withdrawal), SS (sitting insertion, sitting withdrawal), and SL (sitting insertion, lateral withdrawal). It was demonstrated that the relative amounts of force required for catheter removal were LS>SS=LL>SL. The fact that SS=LL indicated that sitting during removal did not require extra force, so their recommendations were to remove the catheter with the patient in the same position that they were in during the insertion. Ates et al. performed a blind, controlled laboratory investigation to assess stretching and breaking points of three types of catheters, polyurethane, radiopaque, and clear nylon, and they investigated both intact and traumatized catheters. All traumatized catheters had significantly lower strength than corresponding intact catheters. Asai et al. 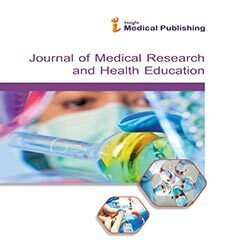 , conducted an ex vivo study comparing four brands of 19 G epidural catheters, the Arrow® FlexTip Plus (Arrow international, Realing, PA), Perifix catheter TM (B Braun, Bethlehem, PA), Perisafe catheter TM (Becton Dickinson, Franklin Lakes, NJ), and Portex catheter TM (SIMS Portex, Kent, UK). All catheters snapped at either the fixed site or the pulling site. Interestingly, the Arrow catheter stretched significantly more (p<0.01), broke at a significantly lower weight (p<0.01), was significantly more likely to break at the 5 cm mark, and significantly less weight was required to break the 7.5-12.5 cm versus the 5.0-10.0 cm segment (p<0.05). Breakage at the time of catheter insertion has not been considered a problem, perhaps because it was thought to be inconceivable to advance an epidural needle in an attempt to further insert a stuck catheter. There is a case report of unexplained breakage which followed an epidural needle angled cephalad when catheter insertion met resistance . Catheter withdrawal should not be performed through an epidural needle unless the insertion has been uncomplicated and the catheter moves freely with minimal traction applied. The question as to whether a broken epidural catheter fragment should be removed remains. The current literature suggests that retained catheter fragments are sterile, inert, and extremely unlikely to cause subsequent neurologic sequelae [13,14]. Catheters that were compliant with International Organization for Standardization standards were unlikely to cause an inflammatory reaction [13,14]. In addition, it might be difficult to surgically retrieve the fragment, so removal is generally not recommended. Removal should be considered in patients where fragments may migrate with growth, leading to fibrosis, direct mechanical irritation, and infection. Another reason for removal in cases of potential intrathecal catheter migration is that such migration could lead to CSF leakage and irritation or trauma to the spinal cord. Exploratory laminectomy to remove the catheter is also indicated when the broken catheter cannot be removed and its tip is emerging out of the skin, because it creates an entry site for infection of the epidural space . Surgical removal should be reserved for patients who are symptomatic . Locating a retained catheter is of utmost importance, even if a patient is asymptomatic. As well as considerations relating to surgical intervention, proper counseling with regard to the expected distribution of sensorimotor deficits or pain, should they develop, depends on knowing the location of the catheter. Anterior-posterior and lateral X-rays are a reasonable place to start, however in many cases even radiopaque catheters cannot be visualized in an X-ray of the spine, especially when they are located in the epidural space . In such cases, visualization of the fragment may be accomplished via other imaging modalities such as magnetic resonance imaging (MRI), CT, or lumbar ultrasound. With MRIs, there is always the concern of compatibility due to the inner metallic coil in the epidural catheter (Arrow® FlexTip kit). Heating of the coil can lead to thermal injuries, in addition to imaging artifacts . In 2014, Owens et al. tested six brands of regional anesthesia catheters, two peripheral nerve catheters, and four epidural catheters. Of the four epidural catheters tested, one was ferromagnetic and was thus excluded, and while the remaining three were all safe at 1.5T, only two were safe at 3T. CT was used to effectively locate both entrapped epidural catheters, and also demonstrated an ability to analyze finer cuts than MRI . More particularly, CT scanning may identify ferromagnetic sheared catheters more clearly than MRI. A recent case report highlights the benefit of 3D CT reconstruction by way of facilitating a minimally invasive approach to remove a retained epidural catheter fragment in a postpartum patient with neurologic sequelae [16,17]. In a case of lumbar epidural placed for transurethral resection of the prostate which broke upon removal, the fragment could not be located via X-ray, MRI, or CT . It was ultimately detected by ultrasound, 11 mm below the skin. Managing a retained epidural catheter begins with informing the patient, reassuring them that catheters are designed for use inside the body, counseling them on potentially related pain/sensorimotor deficits, and encouraging them to report any localized pain or sensorimotor deficits. Risk management should be performed in a timely fashion, as should neurological evaluation. Imaging examinations should be done in all cases to determine the exact location of the fragment, the case should be discussed with the radiologist, and the compatibility or otherwise of the epidural catheter with MRI should be determined. The occurrence of the complication must be reported to the FDA online, and to the manufacturer. The externally remaining parts and (where applicable) the internally removed part/s of the catheter should be retained and sent for risk management and internal QA, and then to the manufacturer for testing. In patients with immediate neurologic sequelae, follow-up CT scans at 6 months and at 1 year to monitor retained catheter fragments and ensure that there is no evidence of granulation tissue formation are reasonable. To prevent rupture of an epidural catheter, if the patient complains of pain or the catheter stretches excessively, stop pulling and seek assistance. Removal of the catheter by the anesthesiologist or trained personnel is recommended in the literature in cases of difficult catheter removal. Flushing the catheter with preservative-free normal sterile saline may help to determine whether the catheter is knotted . Placing the patient in the same position that they were in when the catheter was inserted, or placing the patient in a lateral position, can facilitate catheter removal. If it still does not come out, secure the catheter and wait until the effects of local anesthetics have completely resolved, and consider fluoroscopy and CT scanning. Catheter removal should be abandoned if pain or paresthesia develop, and neurosurgical consultation with radiographic evaluation should be undertaken. Radiographic evaluation, including a CT scan and/or MRI with the injection of radiopaque dye may prove useful for determining the entrapment location. Documentation can be very important for the clinical follow-up of asymptomatic patients, and to orient laminectomy in symptomatic patients. Bonica JJ, Backup PH, Anderson CE, Hadfield D, Crepps WF, et al. (1957) Peridural block analysis of 3,637 cases and a review. Anesthesiology 18: 723-784. Hobaika AB (2008) Breakage of epidural catheters, etiology, prevention, and management. Rev Bras Anestesiol 58: 227-233. Lee LA, Posner KL, Domino KB, Caplan RA, Cheney FW (2004) Injuries associated with regional anesthesia in the 1980s and 1990s a closed claims analysis. Anesthesiology 101: 143-152. Vallejo MC, Adler LJ, Finegold H, Mandell GL, Ramanathan S (2001) Periosteal entrapment of an epidural catheter in the intrathecal space. Anesth Analg 92: 1532-1534. Jongleux EF, Miller R, Freeman A (1998) An entrapped epidural catheter in a postpartum patient. Reg Anesthesia Pain Med 23: 105-107. Davies R, Vaughan RS, Richards J (1993) Epidural catheters. Breaking and extraction forces. Anesthesia 48: 900-901. Gravenstein N, Blackshear RH, Wissler RN (1991) An approach to spinal or epidural catheters that are difficult to remove. Anesthesiology 75: 544. Boey SK, Carrie LE (1994) Withdrawal forces during removal of lumbar extradural catheters. Br J Anaesth 73: 833-835. Morris GN, Warren BB, Hanson EW, Mazzeo FJ, DiBenedetto DJ (1996) Influence of patient position on withdrawal forces during removal of lumbar extradural catheters. Br J Anaesth 77: 419-420. Ates Y, YÃÂ¼cesoy CA, UnlÃÂ¼ MA, Saygin B, Akkas N (2000) The mechanical properties of intact and traumatized epidural catheters. Anesth Analg 90: 393-399. Asai T, Yamamoto K, Hirose T, Taguchi H, Shingu K (2001) Breakage of epidural catheters a comparison of an arrow reinforced catheter and other nonreinforced catheters. Anesth Analg 92: 246-248. Bastien JL, McCarroll MG, Everett LL (2004) Uncoiling of Arrow Flex tip plus epidural catheter reinforcing wire during catheter removal. An unusual complication. Anesth Analg 98: 554-555. MitraR,Fleischmann K (2007) Management of the sheared epidural catheter. Is surgical extraction really necessary? Journal of Clinical. Anesthesia 19: 310-314. Owens S, Erturk MA, Ouanes JP, Murphy JD, Wu CL, et al. (2014) Evaluation of epidural and peripheral nerve catheter heating during magnetic resonance imaging. Reg Anesth Pain Med 39: 534-539. Staats PS, Stinson MS, Lee RR (1995) Lumbar stenosis complicating retained epidural catheter tip. Anesthesiology 83: 1115-1118. Eap C, Frappart M, Litre CF, Bourgeade F, Gomis P, et al. (2011) Minimally-invasive spinal surgery to remove a broken epidural catheter fragment. Int J Obstet Anesth 20: 190-191. Gulcu N, Karaaslan K, Kandirali E, Kocoglu H (2006) Detection of a retained epidural catheter fragment. Reg Anesth Pain Med 31: 589-590.